Teachers are busy ensuring pupils feel prepared and confident to sit their exams and achieve their maximum potential. Pupils will have their highlighters, post it notes and revision lists at the ready! However, I recently read an interesting article in The Guardian The Science of revision which suggests ditching highlighters, putting phones away, turning music off and instead eat breakfast, teach someone else and spread revision out over a longer period of time. A useful article, worth a read. In my opinion revision does need to be personalised and the sooner pupils realise what works for them the better! I often explore different methods to support pupils with their exam preparation and here are some of the techniques and resources I use with my classes. To highlight or not to highlight?! 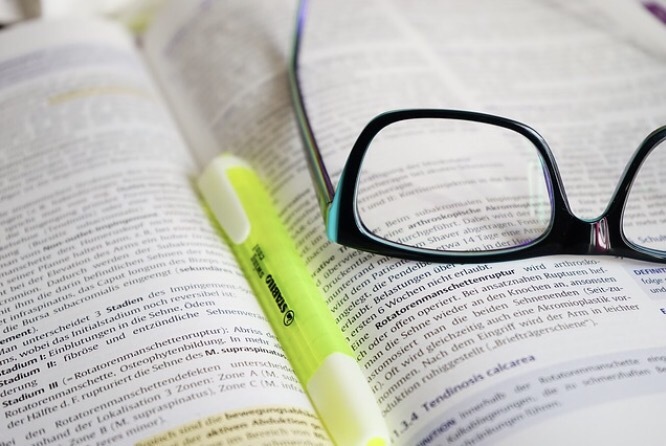 Highlighting revision notes and materials is a popular revision method amongst pupils but research suggests that it is actually not as effective as believed. Alex Quigley has blogged here explaining why he hates highlighters with some very valid points. A very common revision mistake that pupils can make when revising is to highlight all or most of their notes, this is very frustrating! Pupils sometimes use highlighters without thinking why they have selected that information to highlight. Highlighting does show pupils have read their notes and that is clearly helpful. However, it defeats the idea of highlighting if all or most of the text is highlighted! A good way to tackle this is to encourage pupils to use colour codes when highlighting. For example, pupils could colour code information for specific types of questions, units or to prioritise information. Other suggestions include highlighting a sentence or word that sums up an important idea, useful quotations, statistic examples or links to other ideas. A subject specific example in History could be highlight information that puts the event into context, highlight key dates in a different colour, key vocabulary, historical viewpoints and arguments etc. 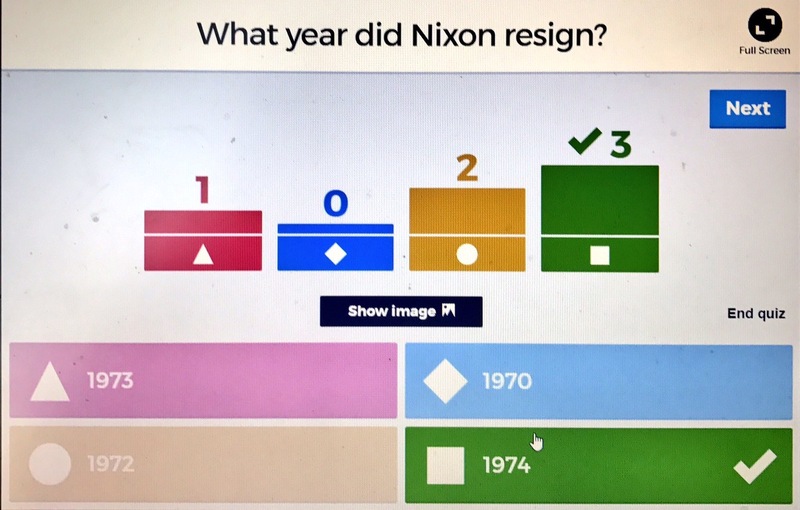 When analysing historical sources pupils can use different colours for content, reliability and purpose. I encourage pupils to annotate notes as well as highlighting, sometimes explaining in the margin why they have chosen to highlight that selected information. Pupils can then transfer the selected information onto paper or flash cards so all the relevant ideas/ information are now compiled together. Another use for highlighters is when peer or self-assessing exam answers. There can be specific colours for each assessment objective; this will address the strengths of their exam answer and areas for improvement. Box the instructions so pupils have illustrated they fully understand what they need to do; this could be explain, evaluate or describe…etc. Then they underline key ideas/ focus of the question, again ensuring full understanding of what content will be needed in their answers. Then finally pupils glance over the question once more to make sure they don’t rush to answer the question and possibly miss out any important information or read the question wrong, which can happen especially, under exam pressure. Pupils ‘BUG’ and plan an exam question, writing on the tables. This is another resource that I have used regularly with my pupils. This is where pupils have an exam question and use their notes/ reading material to select the most relevant information for that specific question. We know when pupils have spent a lot time revising information; there is the temptation to include all of their knowledge in their exam answer! This activity can help pupils understand, as well as being able to recall information, it is an important skill to select the appropriate and relevant information that specifically addresses the exam criteria. I have previously blogged about this idea in more detail, which can be found here. Highlighting (if done correctly) and revision flash cards help to break down information to make a whole subject or topic more manageable for pupils. Other ideas to do this include revision stations. In your classroom the class can be divided up into different stations with each table having a different focus. 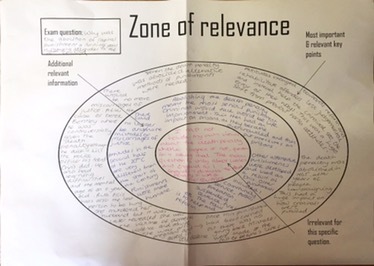 The pupils can rotate around the different revision stations spending a certain amount of time revising, answering questions or reflecting on that key topic. Pupils can swap and share ideas from different stations or in groups be given a specific area to focus on then present to their peers. A fantastic resource that I have used from Twitter is the Revision Clock. 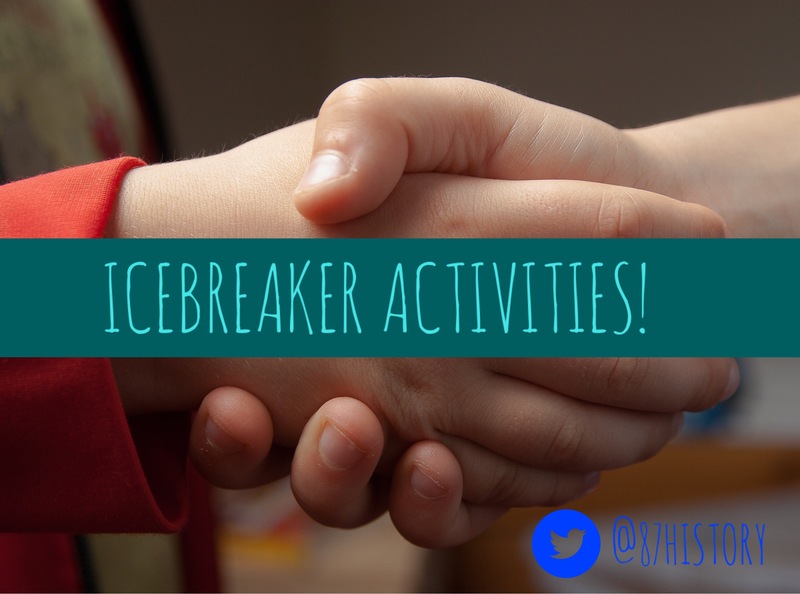 This resource was created by Geography teacher, Becky Russell who teaches in Manchester and can be found on Twitter here. The purpose of this activity is to give pupils a selected amount of time, usually five minutes, to focus on one aspect/topic/key word then move onto another. Pupils enjoy this revision clock challenge and it is a good way to re cap on previous learning. Again, highlighters can be used or diagrams included depending on the topic but this activity can be used across the curriculum! There are plenty of examples that can be seen on Twitter using #RevisionClock. I think this is a fabulous and very effective resource that you can download for free here! I often compile a bibliography for pupils with suggested reading material, resources and useful websites and links. There is so much revision information available on the internet, all of varying quality and for different exam boards. It can help if we guide pupils in the right direction suggesting what we think are most useful/reliable/relevant websites because there is so much out there it can be overwhelming! QR codes are a great way to do this and very easy to create (I create my own QR codes using the site which can be found here). 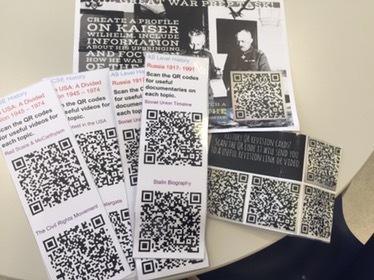 I then use the QR codes in a variety of ways including QR codes bookmarks, revision displays and in revision booklets. Pupils can then use their own devices in their own time to be directed to a specific website, video, podcast, past paper etc. A lot of schools have departmental Twitter or Facebook accounts. I use my Humanities department Twitter account regularly. This is another fantastic way of sharing resources and links to websites, podcasts and videos with pupils and parents. This can also work with other teachers and Schools across the country swapping and sharing exam revision material to go beyond our School network to support each other. 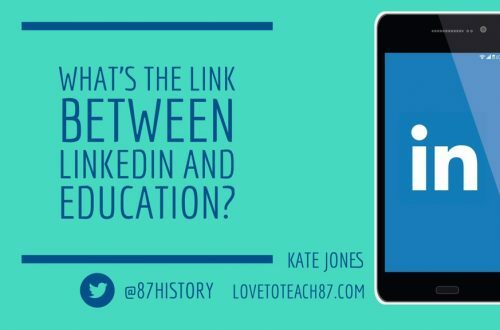 Using the internet to network with other teachers is a fantastic, teachers can ask if they teach to the same specifications or similar content. The amount of resources we can share with each other will not only help with our work load but ultimately help our pupils too! If you have a Virtual Learning Environment (VLE) then that has so much potential for pupils, as they can access revision resources at home or on their devices with internet access. Presentations, worksheets, booklets etc can be uploaded; this can also assist if there have been any issues with attendance for pupils too. 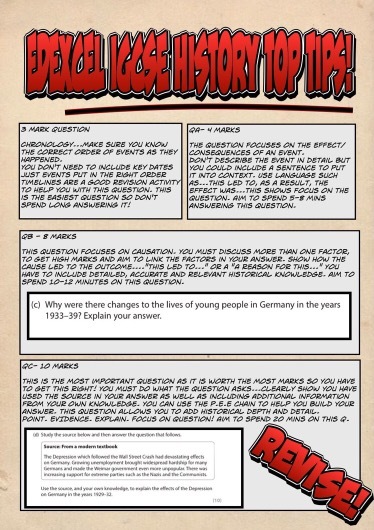 Pupils used the Comic Life app to create their ‘Top Tips’ focusing on exam technique! US Psychologist Professor Dunlovsky has stated that when revision is enjoyable “the pupil is more engaged and it is harder for the mind to wander.” Staying focused with so many distractions around can be very difficult – hence the phones away suggestion! 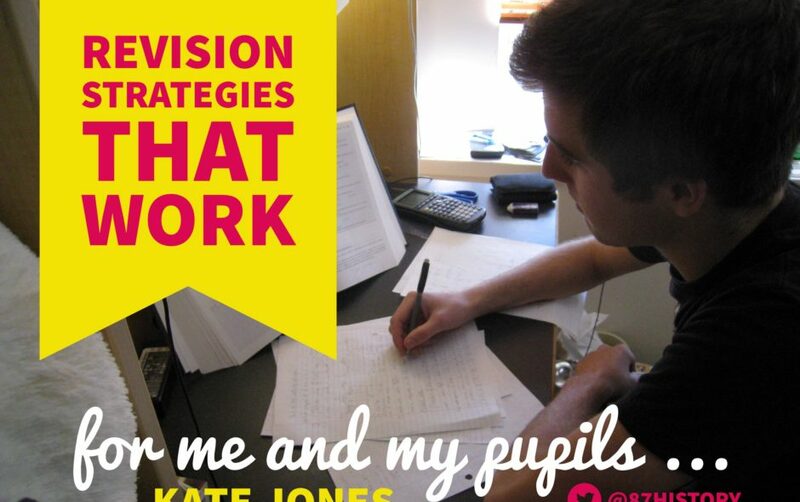 Making revision appeal to pupils as “fun and engaging” can be a challenge. However, I do try to promote and encourage a love of learning as this is a strong ethos and value where I teach. At GCSE and A-Level there is certainly a lot of content and technique to get through and that is clearly the priority for both teachers and pupils. Naturally, we hope our pupils are engaged with the subject content they are revising but combined with the content I have used various revision methods that include revision games that pupils can play on their own or with others, in the classroom or at home. 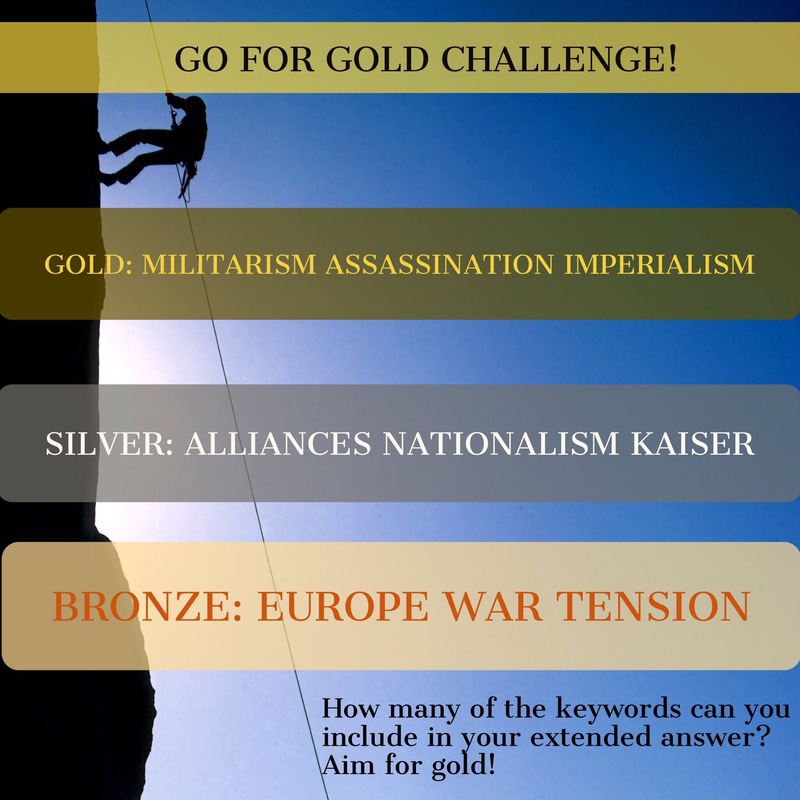 When completing exam answers I have a ‘Go for Gold’ competition; which encourages pupils to use subject specific vocabulary in their answers and they can be rewarded if they do so correctly. Challenge grids can be used as an effective revision game. Pupils select which questions they answer and the amount of points awarded for each question varies with the level of difficulty. 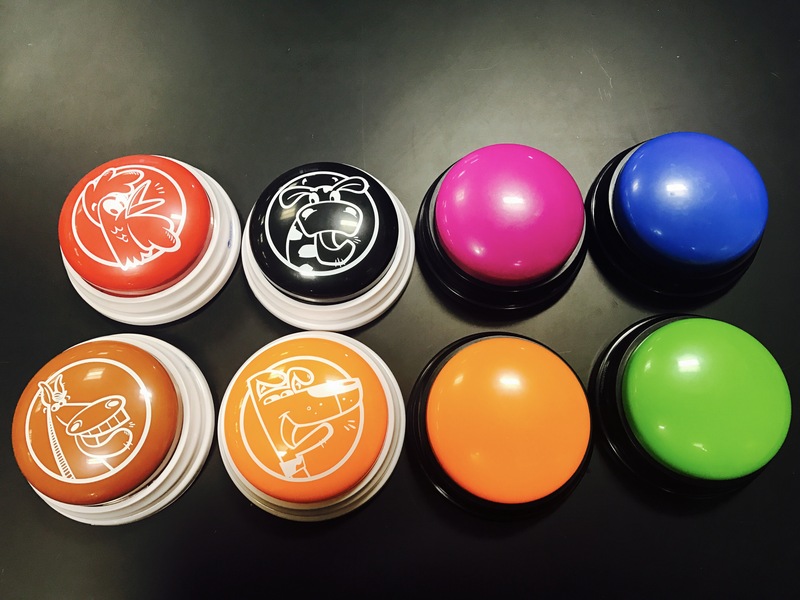 I purchased sound effect buzzers that add an exciting and competitive element to a standard quiz. I have created quizzes to be used with white boards, classic board games with templates such as Snakes and Ladders and Television format quiz templates such as The Chase, Million Pound Drop etc. 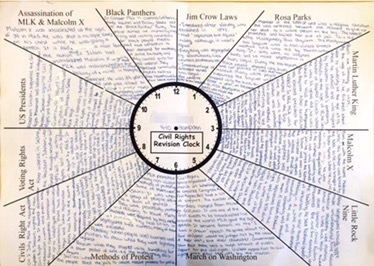 Perhaps you could ask pupils to be creative and create their own revision games they can use. Kahoot, Plickers and Ping Pong are all free apps that provide different forms of quizzing to use with devices. Plus, Plickers and Kahoot can record scores so can be used to montior progress and set targets. Good luck to all your pupils preparing for and sitting their exams! Thank you for taking the time to read my post. If you have been inspired by any of the suggested ideas or have further suggestions and revision tips then please do get in touch! You can get in touch using the contact page on my blog or you drop me a message on my Twitter page. *Quote from Professor Dunlovsky taken from a BBC report ‘Revision techniques – the good, the OK and the useless’, by Deborah Cohen. 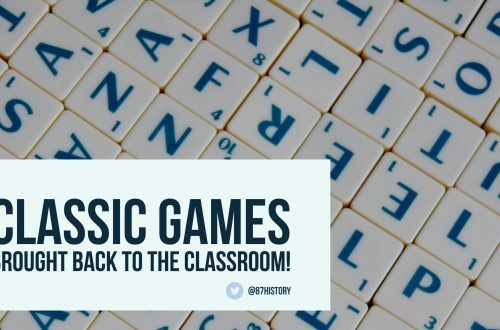 Classic games brought back to the classroom! This is just amazing ideas. Well done! I just wonder, where did you get your sound effect buzzers? Previous post Thriving not just surviving as an NQT! Next post Are you thinking of becoming an examiner?